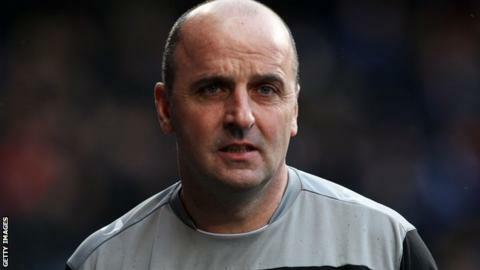 Portsmouth manager Paul Cook is excited about an FA Cup third-round replay against Championship Ipswich despite their League Two promotion priority. Pompey came within two minutes of beating Ipswich in a 2-2 draw at Portman Road on Saturday. Second-half goals from Kyle Bennett and Conor Chaplin saw Cook's side come from behind before Ryan Fraser levelled. "A game under lights at Fratton Park on a Tuesday [19 January] is something we want," he told BBC Radio Solent. "I'm sure [Ipswich manager] Mick McCarthy will look forward to the game as well in a weird sort of way." Portsmouth, fourth in League Two and four points off the top three, face fellow promotion contenders Oxford United later this month. "While a replay is a bit of a distraction from the league campaign, I'm sure Fratton Park will be rocking on the night," Cook added. "We should enjoy good days like this as a bad one could be just around the corner, so we should shout about it."